Solving simultaneous equations is one small algebra step further on from simple equations. Symbolab math solutions feature can help with this too. In simultaneous equations there are two or more unknowns. (In middle school you only need to know how to solve equations with two unknowns. In high school and college you may have to solve for three or more… but that's for later). 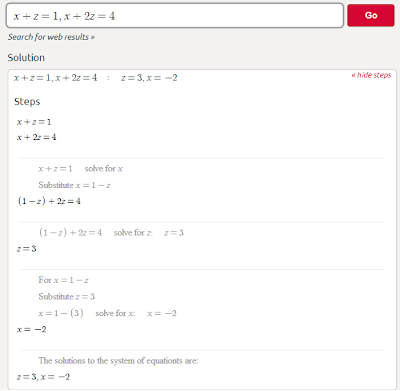 If you have two equations and two unknowns - call them x and y - then we're in business; Symbolab can help you find the solution. Here's the trick - you use one of the two equations to express x in terms of y, putting the equation in the form x=... Then you substitute for x in terms of y in the second equation. That gives you one equation with one unknown, which we already know how to solve (link back to first blog post). 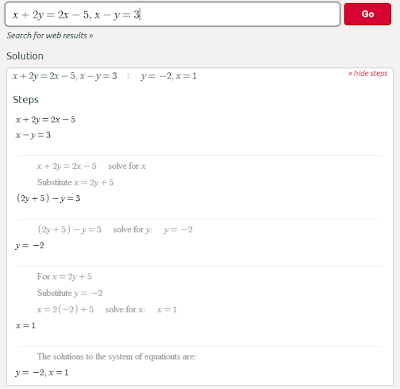 If you want to take a peek at what's in store in high school math check out how to solve simultaneous equations with three unknowns using the same trick here. CTRL+Z this is also an shortcut key for undo the action.computer shortcut keys Suppose if a mistake is done by you in a project you couldn't have any back up then you should use this shortcut CTRL+Z for undo the mistake done by you.